Today is Dragon appreciation day and as such we thought we would take time to honor one of the big bad dragons in the Companions of the Silver Apple D&D group meet SlumberRuin! 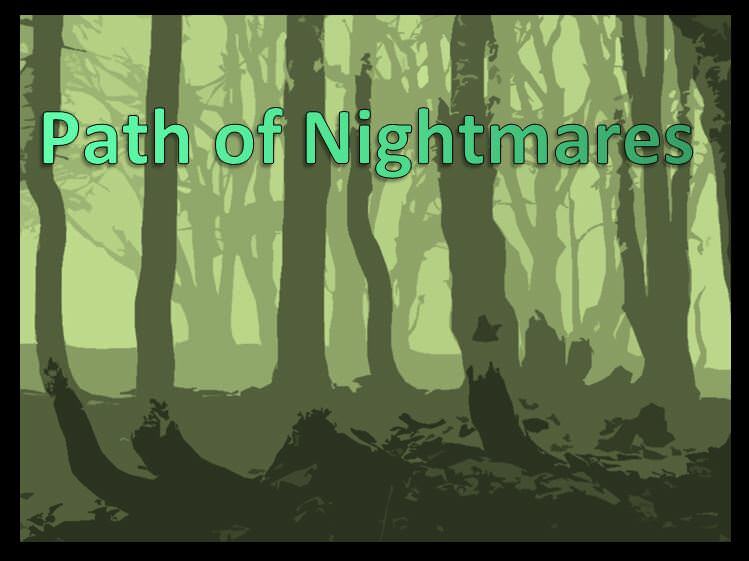 SlumberRuin is set to appear in the Path of Nightmares adventure currently being played through by the Companions of the Silver Apple. Here is a shot of the SlumberRuin Miniature from the Companions of the Silver Apple Instagram. As you can see his Miniature is not so mini. SlumberRuin is not an ordinary Dragon he is a Dracolich, a dragon who has become an immortal Lich. As such SlumberRuin has a Phylactery that stores his and other unfortunate souls. SlumberRuin's Phylactery is made from the Skull of a Silver Dragon. The Silver Dragon at one point was a great rival of SlumberRuin but the ancient Dragon has long stopped worrying about the old dead serpent. The former foe was once a great a Silver Dragon and was a leader of the Metallic Dragons for a few hundred years and had even nearly killed Slumberruin. Now SlumberRuin talks to the skull as if it were his friend, long forgetting the grudge that had led him to make the Skull into his Phylactery in the first place. 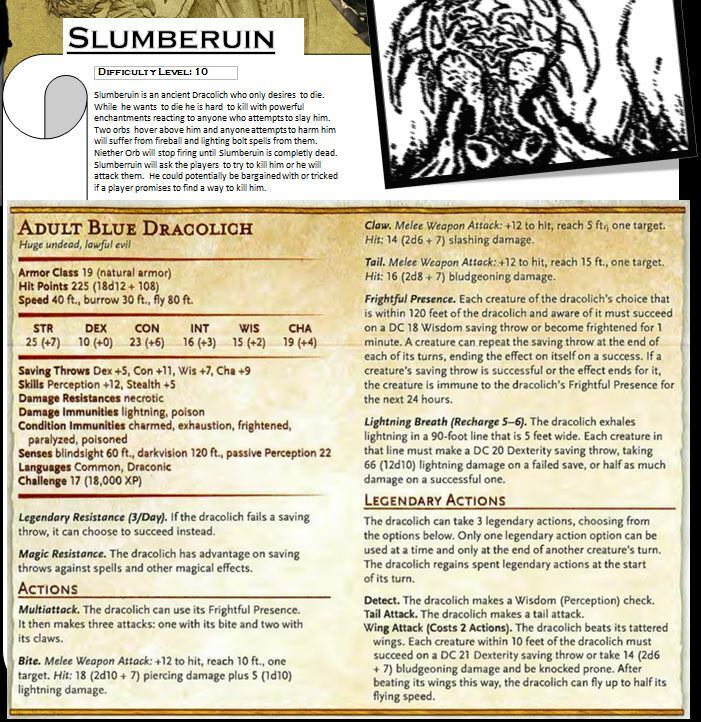 SlumberRuin is an ancient Blue Dragon that many years ago served the Lich Vecna. While Vecna did not overtly share his secrets the Dragon began to piece together the process of Lichdom and became a powerful Necromancer himself. After being nearly killed by Silver Dragon named Darlatan the dragon began to use Vecna necromatic powers on himself. Bent on getting revenge on Darlatan Slumberruin threatened to use Darlatan's own dragon eggs as his Phylactery if Darlatan did not surrender. Darlatan agreed, and upon being slain his skull was transformed into the Phylactery of SlumberRuin. SlumberRuin's own body was killed in the process but was animated in lich form from the new Skull Phylactery. Darlatan was the leader of a large Dragonborn Empire called the Ishadi and SlumberRuin's immediate act upon turning into a Dracolich was to destroy it. The Ishadi and their protector Dragons all fell and in the wreckage SlumberRuin built his own lair. 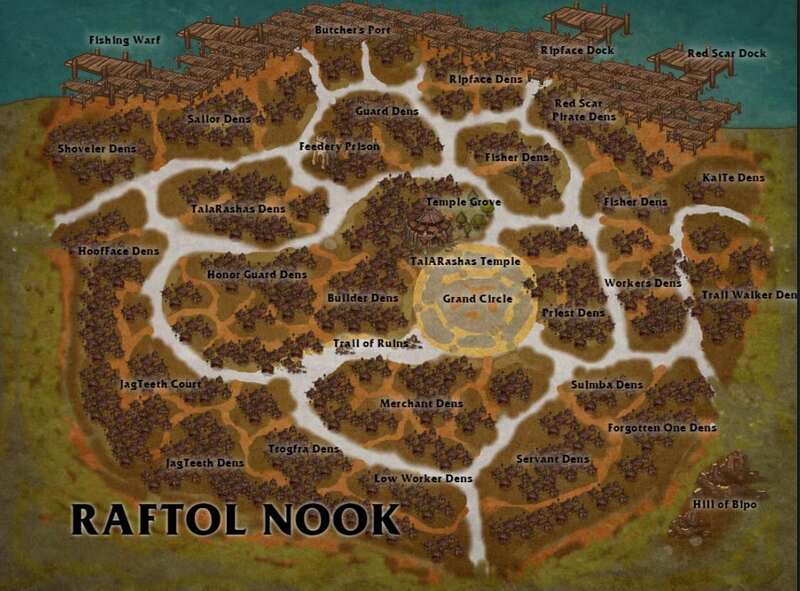 The once shining city of Ishadi became a place of foul fog, swamps, and endless despair. Vecna was furious that his process had been stolen from him, however he took some wicked glee at the sheer horror and awfulness that Slumberruin had become. Various Dragon Cultists began to see SlumberRuin as the Apex evil that should be pursued. Some began to even deify the creature. SlumberRuin developed a paranoia that one of these followers would learn his secrets so he would periodically cleanse his followers and start over. As his paranoia continued to increase he had trouble taking any minion that possessed the intelligence to comprehend the works of Vecna. For a time he only used beasts but found these creatures too dull and limited. SlumberRuin then discovered Gnolls a creature close to beastom but still with limited intelligence. Gnolls were greatly limited due to a demonic savagery in their blood that prevented them from creating anything like a civilization. SlumberRuin began to experiment on Gnolls eventually creating his own kind of Gnoll that possessed the ability to curtail its rage and blood lust. 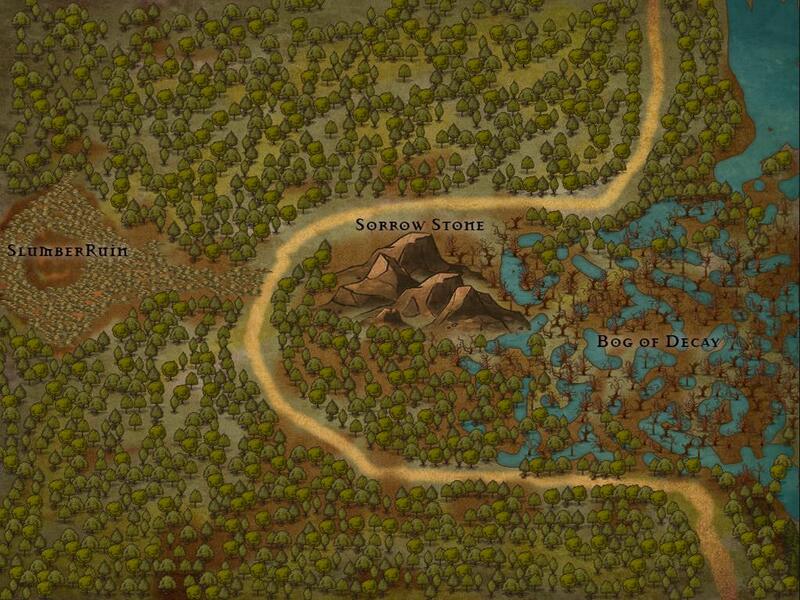 These Draconic Gnolls built their own city near the Lair of SlumberRuin a city called Raftol They constructed their dens of mud and dung ontop of ruins of the old Ishadi ruins. 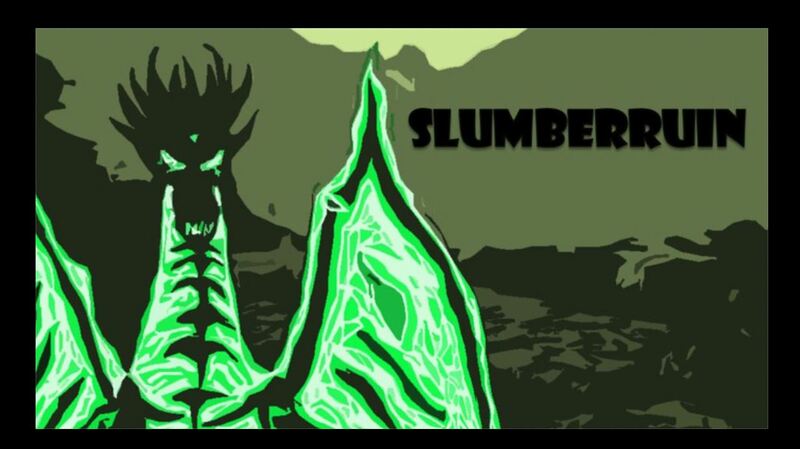 They served SlumberRuin loyally doing his bidding, raiding other cities and protecting the Dragon's lair. 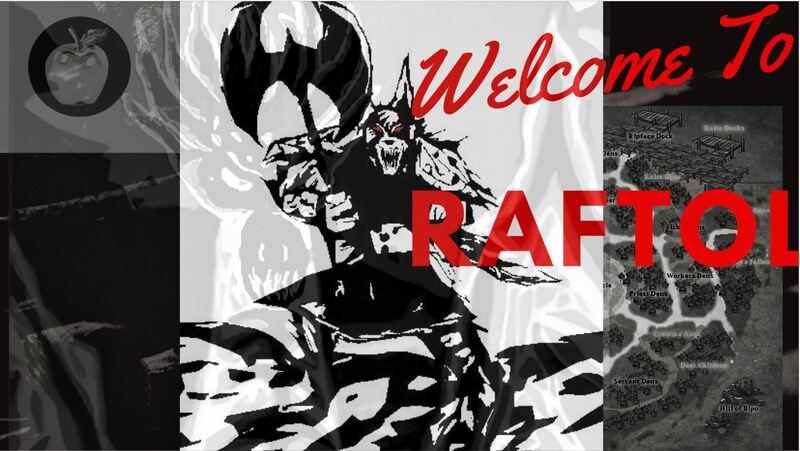 The Gnolls of Raftol even created packs devoted to be SlumberRuin's Priests and Guardians called the Dragon Axes. The orginal creator of the Gnolls was the Demonic Lord Yeenoghu, who took great offense at SlumberRuin's tampering with his creation. 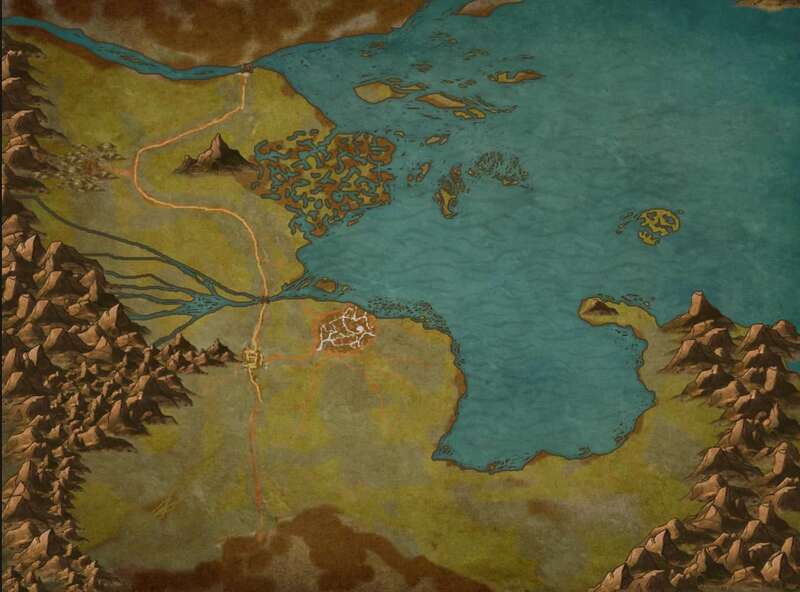 Yeenoghu began to plot SlumberRuin's downfall and also to retake control of the Gnolls of Raftol. Using a variety of Demonic servants Yeenoghu began to subtley work on SlumberRuin's mind and eventually ate away completely at the ancient Dragon's mental state. The Dracolich while still powerful, found itself too tired and downtrodden to leave its lair and began to fixate only on its own death. No longer defending RafTol demon servants of Yeenoghu began to slip into the community and begin to convert the group back toward believing in Yeenoghu. Eventually a pack led by by Demoness in Gnoll disguise called TalArasha took over. In a violent civil war they took control of the community and killed all but one of Slumberfang's Elite and greatly feared Dragon Axes, Crumm Doomfang. Crumm fled to the outside of Raftol and watched as TalArasha assumed control of his old city. 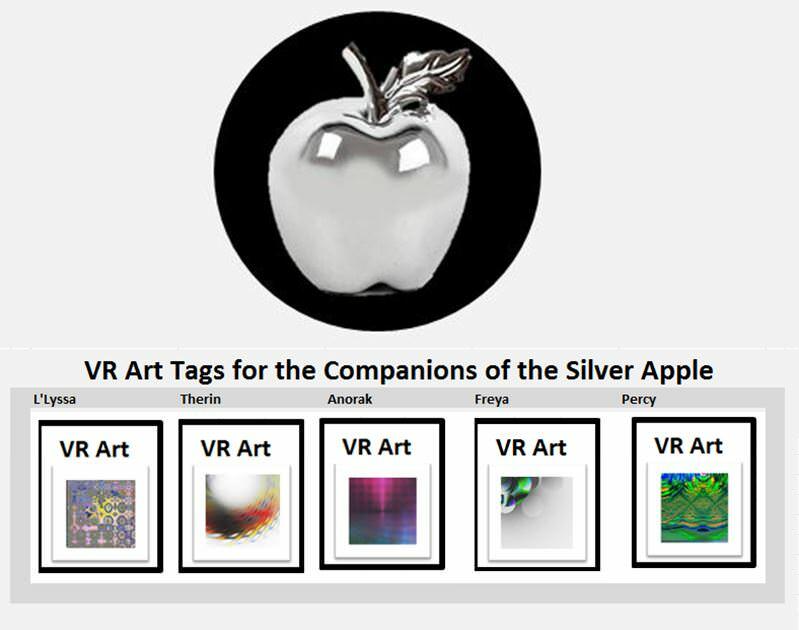 A group of heroes calling themselves Companions of the Silver Apple began to traverse through the Path of Nightmares. There they encountered Crumm the last of the Dragon Axes. Galen Moonblade the guide of the Companions had been kidnapped and taken into the city to be held as an offering for TalArasha. The Companions used sprites to glimmer themselves with the appearance of Gnolls. They then befriended Crumm and learned about the City's civil war. They went into the city and negoticated with three of the Pack Chieftans to join. They then entered in a battle with TalArasha where they managed to slay her and her Demonic guardians. As TalArasha was slain the Demonic spell over SlumberRuin was lifted and he rose to see who freed him. Seeing the outsiders he landed in the middle of fray of Raftol as Gnolls continued to slaughter each other around him. He stared down upon the outsider and gleefully gave the heroes his own challenge.
" I am SlumberRuin, You have freed me, and for that you are fools. I will give you one year to challenge me. If you fail to return here in that time I will fly forth like a maelstrom, and leave untold mayhem, slaughter and death. In my wake I will leave you a gift. 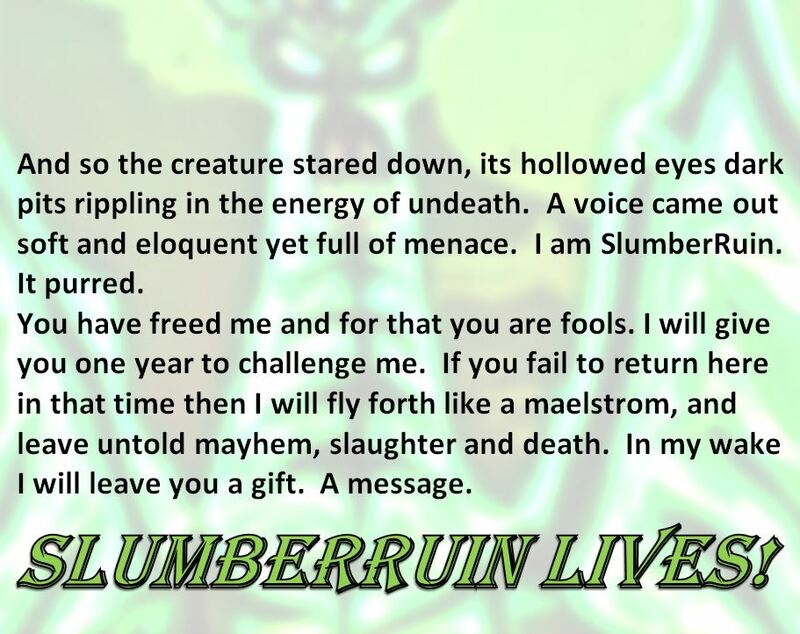 A message; SLUMBERRUIN LIVES!" Show your Dragon love with these items from Amazon. 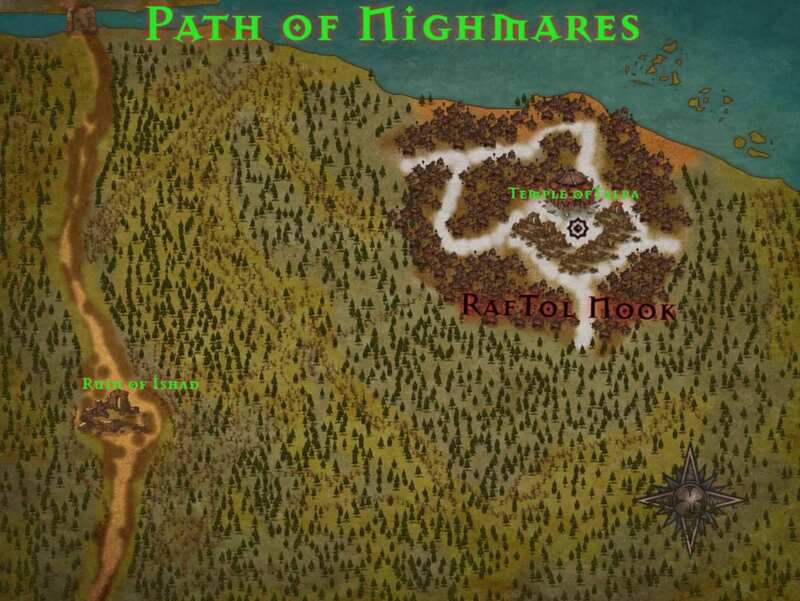 The Lair of SlumberRuin is known to smugglers and thieves as the Path of Nightmares. It is a tempting path to use for illicit cargo as it is not patrolled by any of the regions major powers. However, any smuggler that uses the past must deal with the thick fog, undead, gnoll raids and worse that exist on the trail. 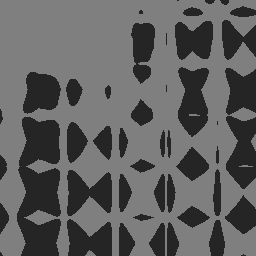 With each quest we are going to create a piece of VRintelligentart that has been forged from VRuot. Of course we need to give Aesax his own piece of VRIntelligent art and thus we created the following piece. Here is the piece called "SlumbRuin The Dracolich"